Family Food Fest is back with a BANG on April 7th at 10 am! We are here to prepare our communities, students and their families for Summer by throwing them an amazing event with FREE food, books, games, prizes and entertainment! This event is 100% FREE to all attendees and will feature a Live DJ, Cooking Demonstration, our amazing MILO Bus and SO MUCH MORE! 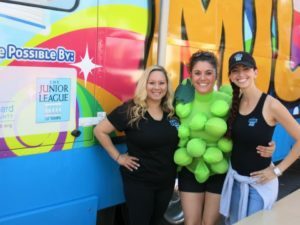 Come stock up for Summer and celebrate our community with The Junior League of Tampa!